For more information about our services and to schedule an appointment for pain management in Allied Pain & Spine Institute, contact our office today. You’re not alone if you’re seeking an effective way to manage ongoing or recurring pain. Back pain alone affects roughly 80 percent of the population at any given time. Acute pain requires immediate attention and often has an easily identifiable source. Chronic pain, on the other hand, tends to be fairly complex and widespread. If you’ve tried other remedies without success, consider a visit to a doctor specializing in pain management at Allied Pain & Spine Institute. The most obvious effect of pain is how it impacts you physically. Initially, the disruption to your life may be minimal, with occasional discomfort getting up from a sitting position or when turning your neck a certain way. Some instances of pain are affected by movement. There are occurrences of pain primarily related to muscle tension, which often results in early morning pain that slowly subsides. Some people also experience pain that seems to be worse or better at certain times of the day. Physically, pain can also affect how you go about your daily routine and how you perform work-related tasks, especially anything involving lifting or repetitious motions. You may even reach a point where pain causes you to withdrawal socially or stop participating in previously enjoyable activities. If you play sports on a regular basis, there’s no question that any persistent discomfort is going to throw you off your game or keep you sidelined. Emotions like anger and frustration can be the result of persistent pain that’s affecting all aspects of your life. Some people also experience bouts of depression if pain lingers or becomes progressively worse. This is why some patients are encouraged to seek counseling if they’ve experienced an assortment of emotions related to their pain beyond initial frustration and concern. Pain can also increase stress and anxiety, which can further contribute to muscle tension, which, in turns, means more pain. It’s a cycle that can be broken with effective pain management. When receiving treatment for any type of pain, having realistic expectations and achievable short-term goals can help ease the emotional burden of living with recurring discomfort. Having the right frame of mind can also facilitate the healing process, as can having a strong support system that includes friends and family members. An important part of pain management is finding an appropriate mix of medications to treat issues such as inflammation of joints and tendons. Managing medications also includes being honest about any non-prescription drugs you may be taking in an effort to control your pain, including herbal supplements and over-the-counter pain relievers. Disclosing all medications can help prevent potential interactions with any medications you may have previously been prescribed. Medication management may also involve adjusting dosages and trying different medications to reduce side effects. Some prescription painkillers are only meant to be used for a short period of time to minimize the risk of dependency. Careful tracking of medications and dosages is also important, as is reporting reactions to any changes made with dosage or the type of medication prescribed to quickly identify any potential side effects that may need to be addressed. The foods you eat on a daily basis can affect how you react the pain. The same is true with exercise. If you’re not getting enough regular exercise, muscles supporting your joints and bones may become inflamed from daily movements. Tomatoes, green, leafy vegetables, nuts, and fatty fish like salmon are some foods that can help naturally reduce inflammation. The purpose of getting regular exercise is keep supporting structures healthy and strong, such as the muscles that support the spine. Any recommended exercises will be based on your capabilities and comfort level. Supervised exercise in the form of physical therapy can also help patients manage their pain. Modifying certain activities, including the way you normally workout, can also reduce episodes of pain. It may seem like diet and exercise changes may not make a huge difference in the pain you experience, but it is important to note that everything suggested by your doctor will be factors working together to provide you with relief. Each part of your treatment plan is designed to help you reach the best possible end result, so it is important that you follow your doctor’s suggestions as closely as possible in order to experience relief. Managing pain starts with having a solid plan that also includes long-term goals. If you’re dealing with pain that’s aggravated by an existing condition, such as arthritis or type 2 diabetes, your long-term goal may be to reach a point where pain is manageable enough to allow you to get back to your daily routine without too much disruption. Long-term pain management can also include making productive lifestyle changes. 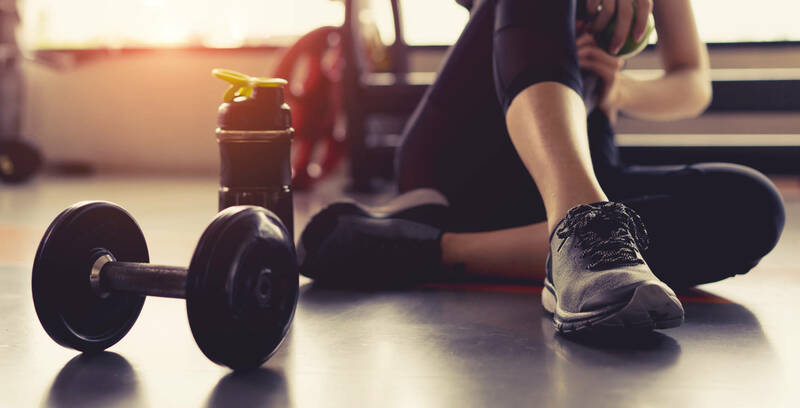 Such adjustments typically include making an effort to get more daily exercise — even 20-30 minutes a day can be beneficial — and eat balanced meals that include a mix of lean proteins, low-fat dairy products, and fresh, nutrient-rich fruits and vegetables. Back pain is, by far, the most common type of pain, followed closely by arthritis and non-specific aches and pains not linked to any one condition. Regardless of the type of discomfort you may be experiencing, the key to effective pain management in Allied Pain & Spine Institute is to know when to seek input from a specialist, a process that often starts with a referral from your primary care physician. The sooner you take control of your pain the sooner you may enjoy welcome relief. Contact our pain management office today and feel free to ask us any questions you might have about our services and the pain treatments that we provide. We can also schedule your first consultation, which is the next best step that you can take toward achieving a life of pain free mobility. We look forward to helping you!